Have you every been pulled in by something you cannot avoid. This is the essence of the Demon Queen. Inspired by a friend who has the ability to intrigued with her visual presence alone but once you get to know her you are traped. 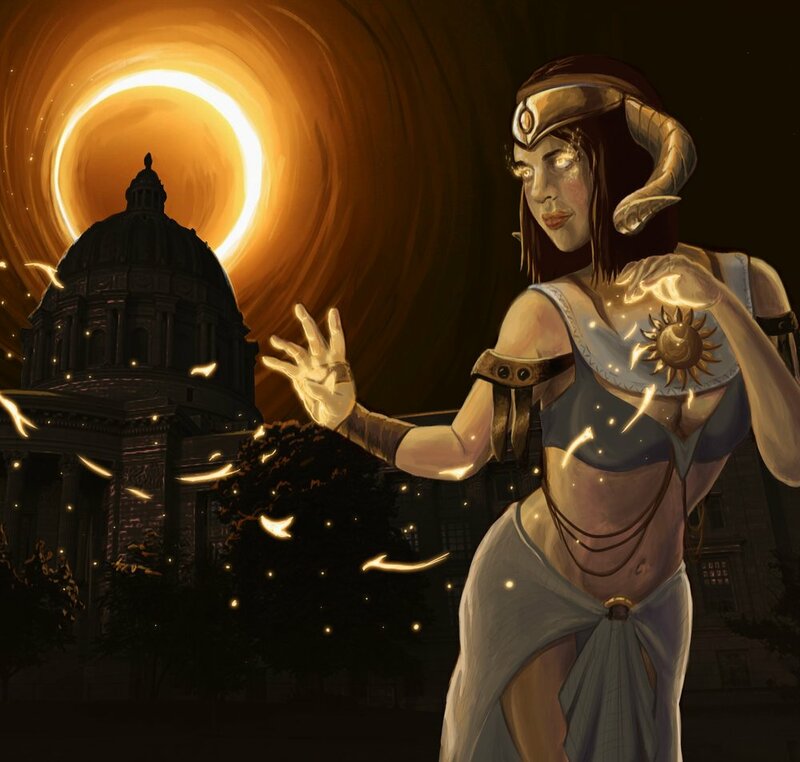 Kari of the Eclipse is the sun goddess that hides in the shadow of the sun. Once every 40 years or so she will block out the sun to allow all her followers to relax their soles. The energry of the sun is always good;howevery, Kari knows any one can have to much of a good thing. This is fan art for the angel from Magic: The Gathering. She was created by the Planeswalker Sorin to protect the plane of Innistrad. As I learn more about the Lore of Innistrad I find myself being pulled in more and more.